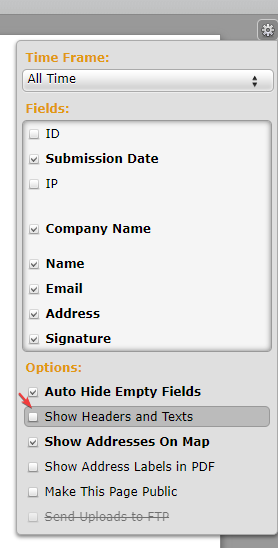 Why is my text field not included as a part of the remittance? I need to have this included as it is a 'certification' from certain persons. Go to your Submission page then mark Check the Show Headers and Text. For your Notification Email, you need to manually add the Text in the Email Content. Since those are Static texts and not a field. What I suggest is to use "Terms and Condition" widget for your Terms. 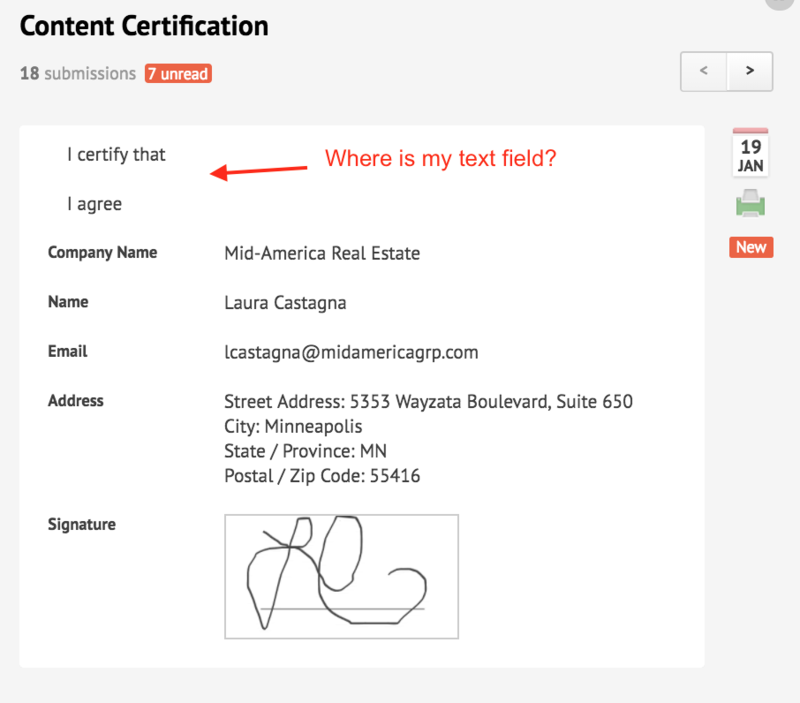 This will add more validity to your form and will save you time rather than copying the Text content on your Notification Email Content.